When writing the previous post I found out about a unique concept loft in New York City that I wanted to present you, because I was pretty sure you would love it. I haven’t written any posts for quite a while as the past few months have been very busy and hectic but in a good way. I spent a couple of months in London, than in Budapest, than in London again, I became a graphic designer (yay!) and have been working on various exciting graphic design projects. I’ve been missing this blog a lot but I just couldn’t find enough time until now. I hope that even after this long break you’ll still enjoy reading eszterieur.com. In the last post I showed you a quick and easy DIY idea: decorating any spaces with washi tape. The picture with skyscrapers on it made me think of NYC so I decided to dedicate this post to New York: inspiration, apartments and little NY themed home decor pieces. A few years ago, in 2011 Australian couple Karina and Craig Waters decided to buy a new home, a perfect property for their family in France. 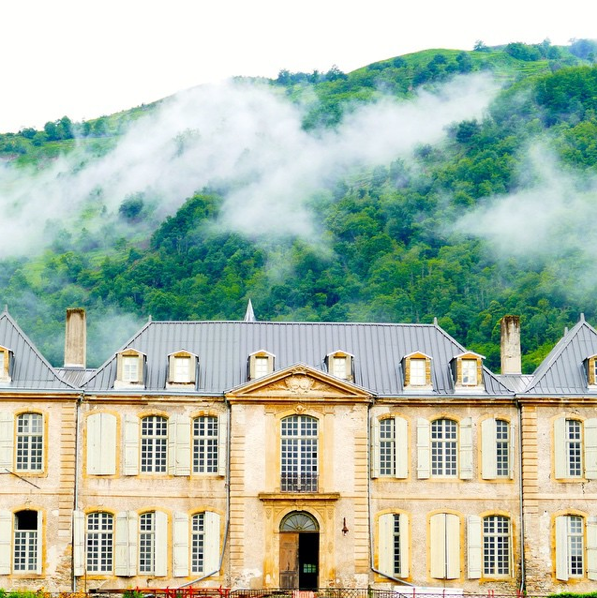 After viewing many places – and almost about to give up the hunt – one beautiful day of 2013 the couple’s son spotted on the internet a neglected, falling-down Château situated in a deep valley in the Midi-Pyrénées, in the tiny town of Chateau Verdun. It was exactly what they were looking for: a little bit shabby, rustic, chic chateau. Right at the first visit they fell in love with this absolutely unique property so it soon became theirs. They didn’t know it would change their lives forever. Obviously, the entire renovation of the abandoned and ruined Château was inevitable as it was not habitable at all, there was no power, plumbing, water, not to mention the terrible condition of the walls in every room. All these challenges could not discourage Karina and her family, in fact they had a very strong desire to bring this once magnificent home back to life. 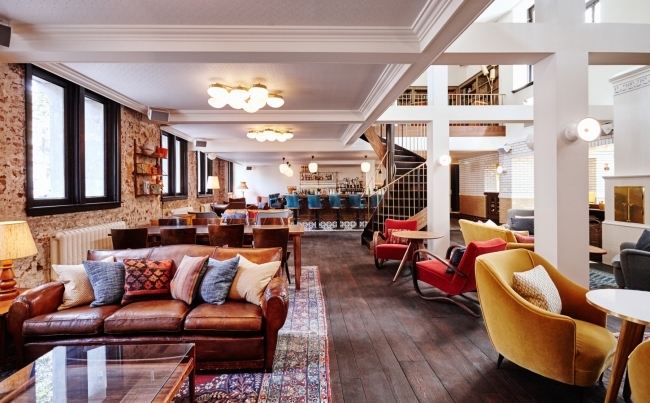 This month, London’s “lo-frills hip hotel brand”, the Hoxton opened their first foreign outpost in Amsterdam, in five 17th century canal houses on the Unesco-listed Herengracht. (The brand plans to open two other outputs next year, one in Paris and an other in New York.) The five townhouses – that used to be home to the Mayor centuries ago – were entirely renovated and redesigned by a local interior designer team, the Nicemakers (mentioned in the previous post). As a result, today they house chic 111 rooms spread across five floors with plenty of quirks including some monumental ceilings and lots of canal views, as the hotel has two canals, on each side of the houses (the Herengracht and Singel canals). Downstairs there’s the restaurant Lotti’s run in partnership with Soho House & Co, plus they also have ‘The Apartment’ a meeting and events space and a mezzanine bar called ‘Up Top’. Thanks to the thoughtful planning and design, the Hoxton Amsterdam offers way more than just a bed&breakfast concept. Eszter is an interior stylist, design enthusiast and the curator of eszterieur.com. She is from Budapest, currently living in Amsterdam, but used to live in Paris and London as well which periods have formed her taste and style tremendously. After some experiences in the office world she decided to rather dedicate her professional life to her passion: interiors, graphic design, art and photography. She truly believes that "work is love made visible" (Kahlil Gibran: The Prophet). © 2019 eszterieur. All rights reserved.